Another somewhat late entry on this research point, which as well as including a visit to an exhibition of contemporary textiles also says to visit one historical or ethnographical collection in a stately home. As mentioned previously, as I live in a very remote area and I was hoping that I would get a trip to Perth in during this course but I have not been able to do this – Perth is 1350km away so not exactly a day trip! I have decided to write about a specific textile item that is very significant in Australia – The Rajah Quilt. 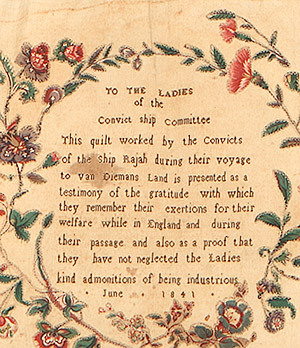 “To the ladies of the convict ship committee, this quilt worked by the convicts of the ship Rajah during their voyage to van Dieman’s Land is presented as a testimony of the gratitude with which they remember their exertions for their welfare while in England and during their passage and also as a proof that they have not neglected the ladies kind admonitions of being industrious. June 1841”. In 1841, van Dieman’s land was the name given to what is now called Tasmania, the separate island that is part of Australia. The first European to land there was the Dutch exploere Abel Tasman who named the land in honour of the Governor-General of the Dutch East Indies who had sent Abel Tasman on his voyage. It was not until 1856 that the name of the island was changed to Tasmania. The convict ship Rajah departed the UK in April 1841 for the 3 month voyage to van Dieman’s land. On their journey they were provided with fabric, thread and basic sewing supplies to keep them occupied during the journey. These materials were provided by the Quaker group, the British Ladies Society for the Reformation of Female Prisoners which had been established in 1816. On arrival in van Dieman’s land the quilt was presented to the Lieutenant-Governor’s wife, Lady Jane Franklin. The movements of the quilt is hazy after that. At some stage the quilt was returned to the UK to be presented to Elizabeth Fry who had founded the Quaker Group, but it is not known if it arrived before her death in 1845. The quilt remained out of public knowledge until 1987 when it was discovered in a box in a Scottish attic. 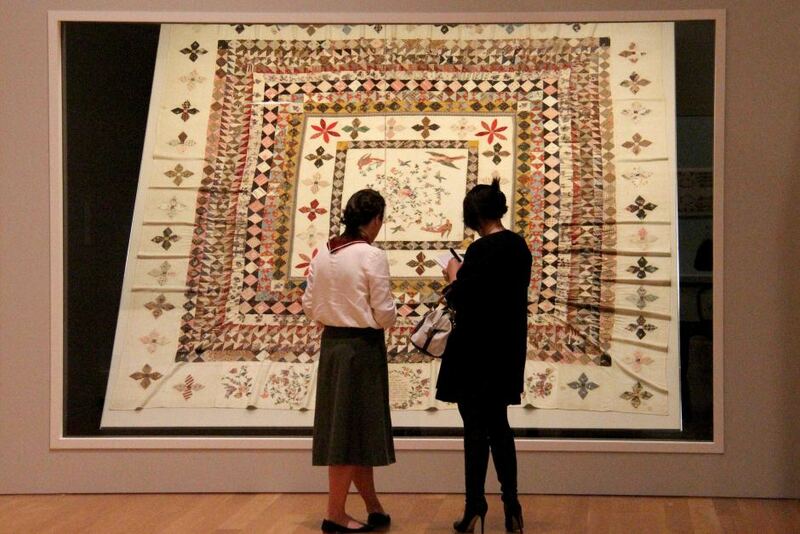 The Rajah Quilt is only made available for public viewing once per year due to its fragility. It is made from cotton sheeting with chintz applique. The wording is in silk thread. 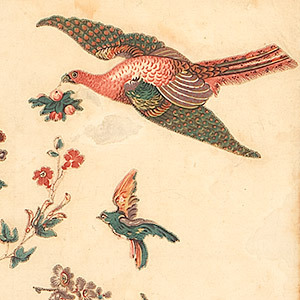 The central panel of applique is in a technique known as broiderie perse which is supposed to be because of its resemblance to Persian embroidery. The design is attributed to Kezia Hayter, a free woman who was sent to assist Lady Franklin in the formation of the Tasmanian Ladies’ Society for the Reformation of Female Prisoners. 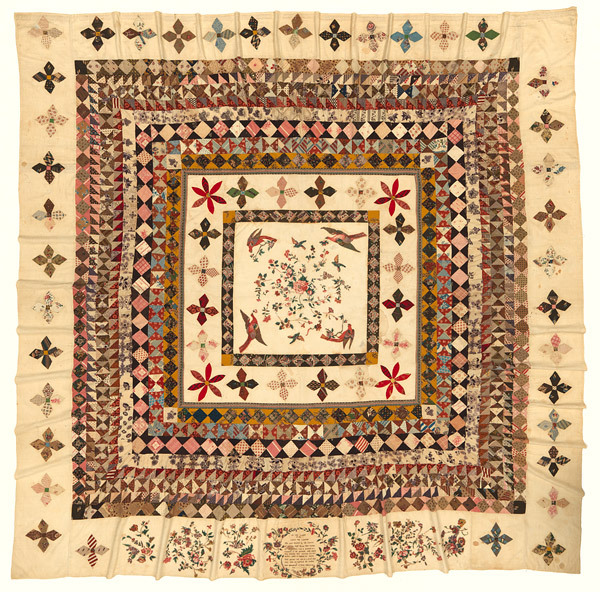 The workmanship varies across the quilt, with some stitches as long as 1cm and others having 15 stitches to the cm. Some of the blocks were sewn in backwards. It is guessed that the stitchers worked mainly up on deck during the daylight, but may have also worked in poorer light conditions which would have impacted on the stitching and construction. A book on the history of the Rajah Quilt and the convicts who made it has been written, Patchwork Prisoners: the Rajah Quilt and the women who made it by Trudy Cowley and Dianne Snowden (Research Tasmania 2013). Unfortunately (and surprisingly) the State Library of WA does not have a copy so I have been unable to borrow it. 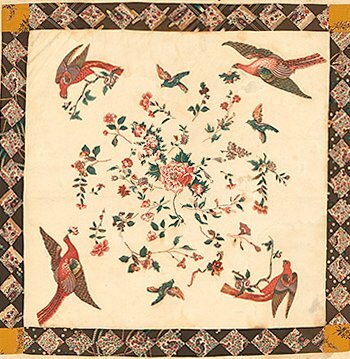 A reproduction quilt pattern Rajah Quilt Revisited has been designed by Lessa Siegele with permission of the National Gallery of Australia and is more achievable for the modern quilter being half the size of the original and with the added advantage of being able to be made by sewing machine. So well known is the Rajah Quilt in Australia that there is an award the Rajah Award that is presented annually by the Australiasian Quilt Convention to acknowledge an outstanding contribution to quilting in Australia.